Is an Instant Pot a pressure cooker? A slow cooker? A crock-pot? A steamer? The answer is yes to all these comparisons and more. 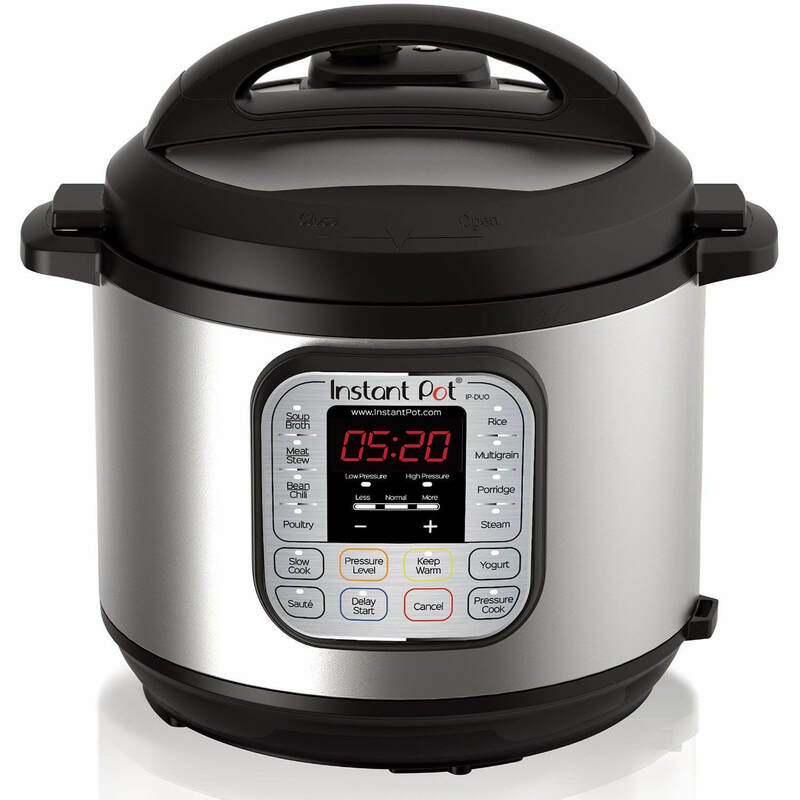 Although a trade name, the Instant Pot has become the name for electric pressure and multiuse cookers able to do a range of cooking functions that at one time would need separate appliances. As the company evolves, so do the Instant Pot products. With the latest models offering integration with Alexa and Wi-Fi monitoring, it can be difficult to know which Instant Pot to choose. In this review we offer the lowdown on what the Instant Pot can do, have a look at pressure cooking in general, as well as review a choice of different models and sizes to help you find the best Instant Pot for you. The family sized 8 quart Instant Pot LUX80 is our best pick for its six functions and ability to manually adjust the temperature on some programs. The Instant Pot IP-DUO60 is our budget pick for its seven functions and its ability to integrate with Alexa. The 8 quart Instant Pot LUX80 is a six function multicooker for pressure cooking, slow cooking, steaming, rice cooking, sautéing and warming. Its outer is brushed stainless steel that is resistant to fingerprints and the inner pot, steamer basket and lid are food grade 304 (18/8) stainless steel. This model has a 24 hour delay timer and an automatic keep warm function. It works with touch button controls and has a large LCD display. You can also manually adjust the temperature in the sauté and slow cook programs. Coming with a one year limited warranty, there are various safety features on this Instant Pot, recognized by its UL and ULC certification. 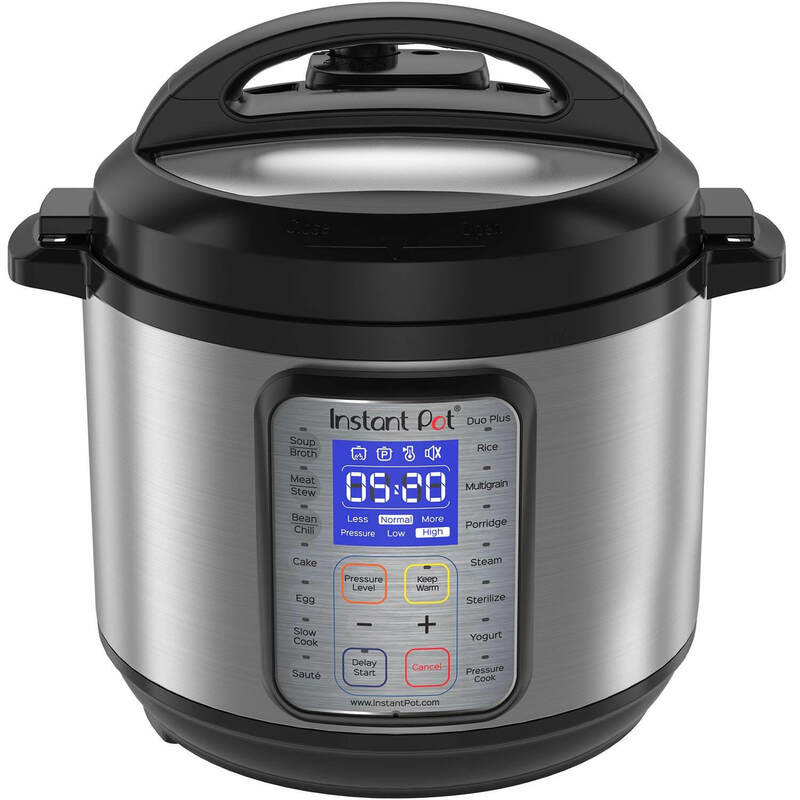 The Instant Pot IP-DUO60 is a 6 quart multicooker with seven functions. Using 3rd generation technology in its microprocessor, it can adjust duration and heat intensity to pressure cook, slow cook, steam, warm, sauté/brown and make yogurt. It can also integrate with Alexa. It has a touch button control panel with a large, easy to read LCD display. It also offers the choice to delay cooking time for up to 24 hours and there is some manual adjustment available on temperature in sauté and slow cook modes. It comes with various of accessories, including a steam rack and measuring cup. This does come with a one year limited warranty, but you may wish to consider buying an extended warranty as the full lifespan of this product is still unknown due to it only having been on the market for a brief time. This is an energy efficient model that is also UL and ULC certified for its safety features. The pot is mane from food grade 304 stainless steel and along with the lid and steam rack, is dishwasher safe. The Instant Pot Duo mini 7-in-1 allows pressure cooking, slow cooking, steaming, rice cooking, sautéing and yogurt making. It has a food grade stainless steel pot which along with the lid is suitable for cleaning in the dishwasher. The outer body is brushed stainless steel which is resistant to fingerprints and a removeable cord. This 3 quart Instant Pot has a touch button control pad and an LCD display. It offers Alexa guided cooking and is UL Listed for its safety feature. It comes with some accessories, including a recipe booklet, measuring cup and steam rack. It has a one year limited warranty. Some users have experienced weaker sealing with the gasket on this 3 quart model, so you may want to thoroughly check the seal for any damage and make sure it is fully in place before turning it on. 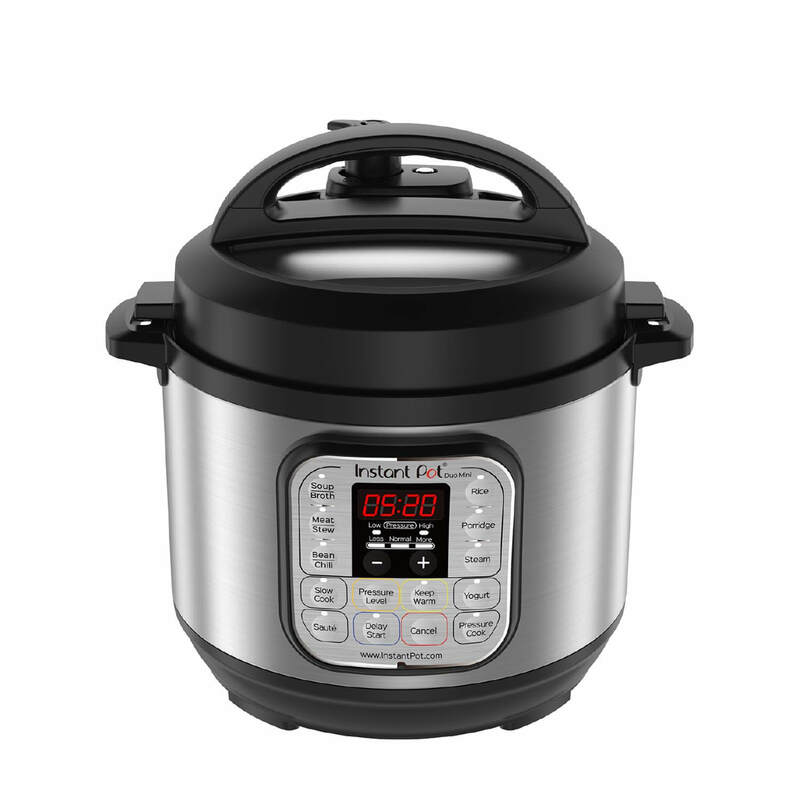 Offering nine functions, the Instant Pot DUO Plus 60 is a 6 quart pressure cooker, rice cooker, slow cooker, egg cooker, steamer, sauté, yogurt maker, warmer and sterilizer. Using automatic programs, it can cook meals up to 70% faster and you can adjust settings even when a program has started. The display is blue LCD and it has visible and audible alarms. Like any electric pressure cooker, it will take time for pressure to build and then for pressure to naturally release at the end of cooking, which can stretch out your cooking time. You may also want to always cook as per manufacturer’s instructions and review what is not covered under its one year limited warranty. If faults arise through, for example, a faulty seal which allows liquid into the core of the outer pot, then this may void any warranty. You may also struggle contacting customer services by phone. It has ten safety features and is UL and ULC certified for its safety mechanisms. All components that are in contact with food are 18/8 (food grade 304) stainless steel, allowing easy cleaning by hand or in the dishwasher. The outer body is brushed stainless steel and resistant to finger prints. This model comes with a steam rack, soup soon, serving spoon, measuring cup and recipe booklet. A 6 quart Instant pot for pressure cooking, slow cooking, rice/porridge and egg cooking, steaming, warming, sautéing, yogurt making, cake making and sterilizing. The 6 quart Instant Pot Ultra 10-in-1 allows customized programming through its button and central dial control pad, including alterations for altitude adjustment. It is suitable for slow cooking, pressure cooking, rice/porridge and egg cooking, sautéing, steaming, warming, cake making, yogurt making and sterilizing. Its blue LCD display also shows cooking progress and this model has a quick release button that allows you to perform a continuous or pulse manual steam release. This button automatically resets to ‘sealing’ once the lid is opened or closed. This model does have newer technology and a number of owners have experienced a regular ‘BURN’ error message on different programs, which means having to contact customer service for further support. Unfortunately, there can also be a considerable delay before customer services respond to queries. The outer body is fingerprint-resistant brushed steel and its inner food components are food grade 18/8 stainless steel. This Instant Pot has 11 safety features and is UL certified. It comes with a one year limited warranty. Comes with accessories and a one year limited warranty. 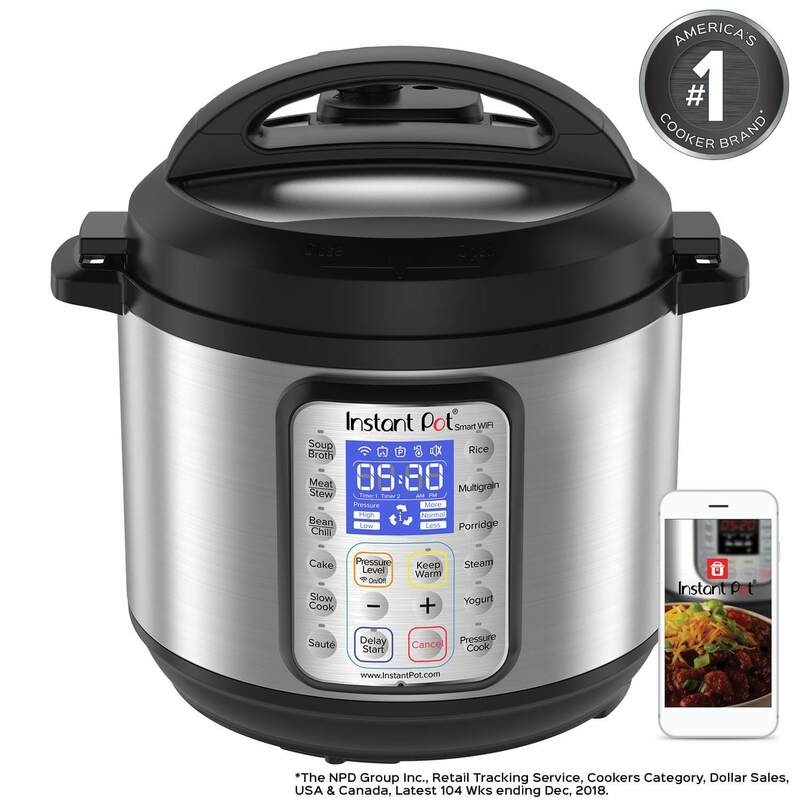 The Instant Pot Smart Wi-Fi is a 6 quart model for pressure, slow, rice/porridge cooking, yogurt and cake making, sautéing/searing, steaming and keeping warm. It has UL and ULC certification for its 11 safety mechanisms and its pot and lid are food grade stainless steel and suitable for cleaning in the dishwasher. 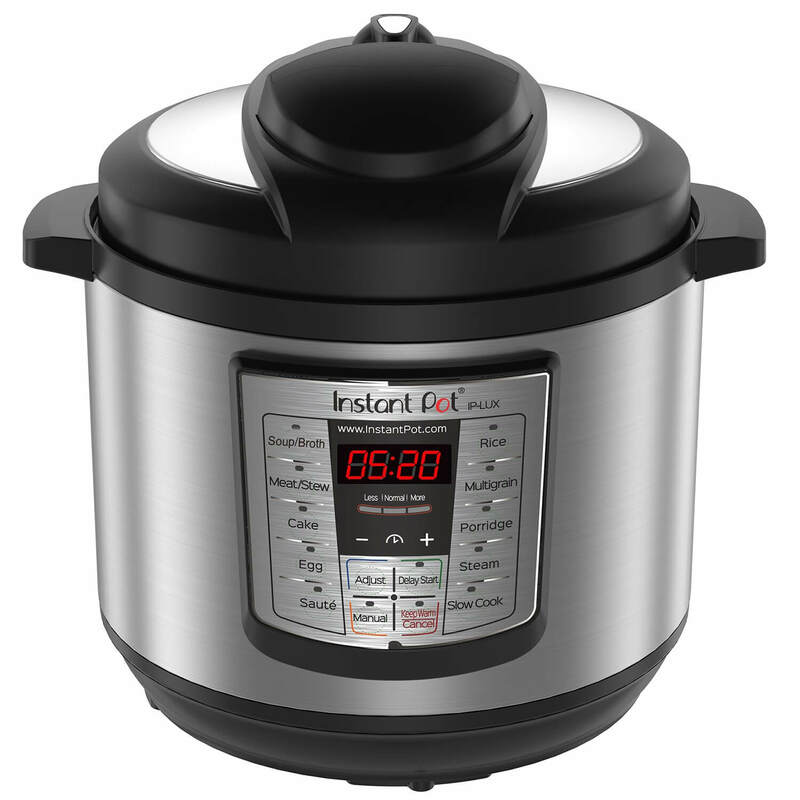 This Instant Pot has a large LCD display and a touch button control panel. It also offers Smart control through mobile Wi-Fi monitoring. It comes with a one year limited warranty and various accessories. The Instant Pot is an electric pressure cooker and versatile multicooker, able to work as a slow cooker, rice cooker, pressure cooker, steamer, yogurt maker and more. Ideal for a variety of cooking tasks, it also takes up much less space on the countertop than multiple small appliances. The Instant Pot is quite new and took the cooking world by storm with its arrival. 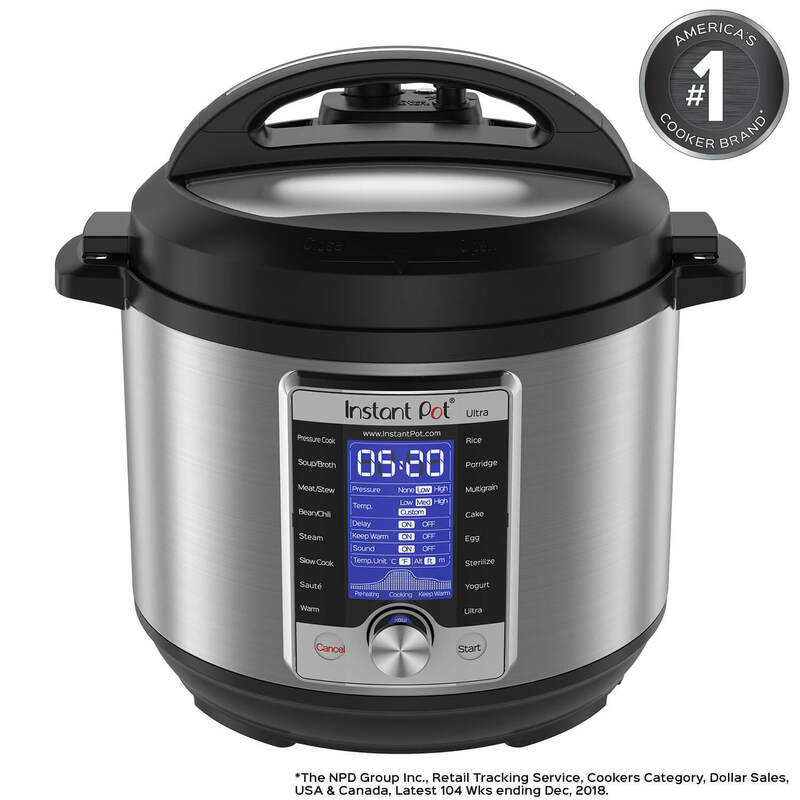 Focusing on lifestyle and time-saving cooking, the Instant Brands Inc. company was founded in 2009, and by late 2010, the first Instant Pot was on the shelves. Since then, each new product introduced has had enhanced functions and safety features. Probably because the company has grown so quickly into a global brand, Instant Pot owners who need to contact customer services over warranty queries may find that it can take some time for their queries to be addressed. Pressure cooking has always been ideal for tougher cuts of meat as it cooks them well and will brown and caramelize its surface; giving more flavor to the tenderized meat. If you want to cook with other meats, look for fattier and bone-in cuts as these will usually cook well. Lean meat or chicken breasts do not cook as well under pressure and will end up stringy. You may want to brown meats before pressure cooking and if a larger cut, then you can cut it into smaller cuts for faster cooking. Pulses and beans cook well from dried but do take care not to overfill the pot and they usually need covering with at least 2″ of water, so they have enough room to expand. Vegetables and fish cook quickly but may end up overcooked if left in for too long. Vegetables are often better steamed, although carrots and sweet potatoes stew or braise well. Like in a traditional rice cooker, rice usually does better if washed and/or pre-soaked first before cooking in an Instant Pot. Rice will cook well, but the lid needs removing and the rice fluffing up as soon as the pressure is down. Eggs take the same amount of time cooked on low pressure in a pressure cooker than they do in a pan, but they are so much easier to peel. Soups are also easy to make, whether you cook them slow, or under pressure. If the steam vent stays open (venting), you can use the Instant Pot as a slow cooker. If you plan to use your Instant Pot for frequent slow cooking, then you may want to buy a glass lid to check on the cooking easily. Some Instant Pots allow sautéing, and although food will not sauté as well as it would in a pan, it is ideal to do onions and smaller amounts of ingredients. If you try to sauté too much meat, you may find that steam will condense and run down the pot sides, stopping meat from browning properly as the liquid level in the base is a little too high. Some foods will also cook well from frozen if the Instant Pot model is high powered enough. Some Instant Pots can make yogurt. This function usually heats the pot to a high enough temperature (180°F or above) to kill bacteria and allow the milk to thicken. The pot will then keep the milk at around 110°F for a few hours, allowing it to ferment. Whichever way, or whatever you want to cook, always seek guidance from the manual as times (and sometimes techniques) can be quite different from stovetop or other appliance cooking. If your food is not cooked enough after pressure cooking, you can just re-lock the lid and take the pressure back up for a few more minutes. Pressure cookers have been around since the 17th century when the French physicist Denis Papin developed the first pressurized cooking pot. The traditional stovetop pressure cooker relies on the heat being monitored and adjusted to keep the pot at its optimum temperature and prevent it from over-pressurizing. An electric pressure cooker such as the Instant Pot can regulate itself automatically. Once it reaches the correct pressure and temperature it will stay constant and if the pressure does start to get high it will turn itself off for safety. As a pressure cooker, the lid locks on and then the liquid in the pot is heated to create steam that increases the pressure in the pot. When water is under pressure, it boils at a higher temperature. For example, the normal boiling point at sea level of 212°F, can rise to as much as 266°F when under pressure. This higher temperature with the pressure in the pot forces the hot steam into the food faster which means that it cooks faster. Pressure is controlled by a valve. As pressure increases, the valve pops up and seals the lid. A second valve will let out pressure as steam if you need to decrease the pressure. When cooking is finished you can either leave the pressure to drop naturally or you can open the valve to manually release the excess pressure as steam. Pressure cookers use different pressure levels to alter the boiling point of the liquid. At a lower pressure of 10 pounds per square inch (psi), an internal temperature of 235°F can be reached. If the pressure is 15 psi, then the cooker can reach 250°F. The outer body holds the electrics and the control panel. It is this that gets hot when you turn on your Instant Pot. The inner body is what your food cooks in. Usually stainless steel or non-stick coated. this sits in the outer pot. The lockable lid must be in place before you can pressure cook. The steam valve is in the lid and will either be in an open (venting) position or in the sealing (locked) position. It must be in a sealing position for pressure to build. Other cooking functions such as slow cooking will need the steam valve to be in its open (venting) position. The lid also has a gasket or silicone sealing ring. This fits into the outer of the lid to help create a tight seal between the lid and the body of the pot. All pots tend to come with a steamer basket or rack that sits in the top of the Instant Pot and allows you to steam your fish and vegetables. You can usually buy a range of other accessories from the manufacturer, such as cake pans, other non-stick inserts or even a glass lid for slow cooking. A pressure valve shows whether the cooker is pressurized or not. When it is pressurized the valve will be up and will then drop back down as pressure is released. The pressure valve may not always be visible, depending on your model of cooker. There is also a condensation collector cup which clips onto the outer body. This collects condensation during slow cooking – you do not need this when pressure cooking as the steam stays in the pot. There was always risk of implosion with traditional stovetop pressure cookers, which was probably why many of us were reluctant to use them, or if we did, we used them very carefully. There was a boom in pressure cooker sales after the Second World War, when manufacturers who had been making war equipment had to switch to other products. Many of these were aluminum construction and continued to be for decades after. The modern traditional pressure cookers use better engineering for safer cooking. Made from stainless steel, the cooker will not react with food in the same way that aluminum does. Modern pressure cookers have an encapsulated base to prevent hotspots from developing and as well as safety pressure valves, they usually have visual pressure indicators as well. These and other safety features such as locking lids are also in electric pressure cookers and Instant Pots. Electric pressure cookers are not designed to pressure fry; commercial pressure fryers work at a lower pressure (5 psi) than the home appliances do. When you are using your Instant Pot, you should check it, especially when using it for pressure cooking. You can watch to make sure it is up to pressure and that no steam is escaping before getting on with other things about the house. Always make sure that the correct amount of liquid is added, and avoid overfilling with starchy grains, usually halfway only to the maximum fill line is enough to allow them to expand and cook properly. Before locking the lid and turning on, check the gasket/silicone sealing ring is in the correct position and is free from any grease or debris, as this can stop the lid from locking properly. Also check that the anti-block shield - the component with holes in under the lid that prevents food blocking the steam valve - is in the correct position and that the steam valve is locked and sealed. The lid should then just fasten into place and lock, if not, a warning will usually flash on the display. Once you set your program, there will be a short delay before the program starts. This gives you time to check once more that the steam valve is in the locked and sealed position, otherwise pressure will not be able to build. After use, always check the silicone sealing ring/gasket is in good condition, without any cracks or cuts and that no food debris is in the anti-block shield. You may want to keep a spare gasket from the pot manufacturer to hand as it will need replacing every couple of years or so. If you cook stronger smelling foods such as garlic and ginger, the gasket can absorb some of the odor, so you may find it useful to keep a separate gasket for cooking delicate dishes that you do not want to run the risk of being odor tainted. When pressure cooking completes, an Instant Pot will usually move to a ‘keep warm’ and the pressure will start to slowly release. This can take up to 30 minutes. When the pressure is back to normal, the pressure valve will fall back into place. If you need to get to the food as soon as cooking is complete, then you can manually open the steam valve and the pressure will release over a minute or so. If you need to open the valve manually you may want to do it with a silicone oven mitt, wooden spoon or kitchen tongs. You can also cover the valve with a tea towel before opening it as this can help prevent steam spraying around the kitchen. Whichever way you open it, always approach it from the side rather than the top. Some recipes may say an amount of time for natural release and then need a manual pressure release, as this allows food to cook for a little longer and under less pressure. If you need to do this, then just turn the pot off, wait for the natural release time to pass and you can then open the valve manually. In this review we have looked at what has made the Instant Pot such a success, not least the safety features that make it much more attractive than the traditional style of pressure cookers. As the Instant Pot can replace various small kitchen appliances, it can also be a space saver and offer flexible one touch cooking that works around your lifestyle. We hope that if you have yet to buy an Instant Pot, or you are considering upgrading your older model, that this review has provided you with the information that you need to choose the best Instant Pot for your lifestyle and home.